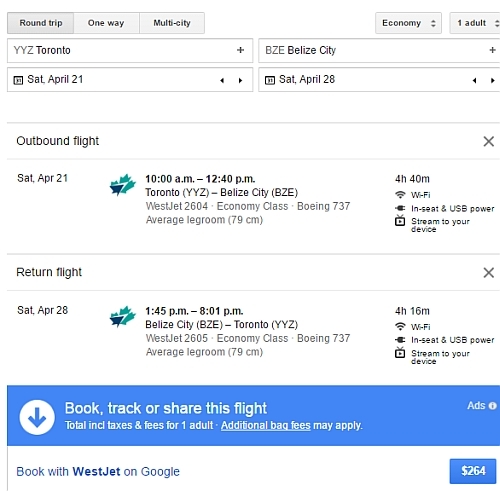 WestJet has dropped the price of one of their April flights from Toronto to Belize down to $264 CAD roundtrip including taxes! With just one set of dates available, this will probably go quick, even if it is 1 AM. 2. Select the flights and click through to the WestJet website. Update @ 1:13 AM - It looks like prices have already increased on Google Flights to $387. Priceline is showing single seats available for $269 CAD roundtrip. On Priceline, the price will show up as $213 USD roundtrip including taxes. Priceline is *always* in $USD. This will work out to $269 CAD roundtrip when booked using a Canadian credit card, including the typical credit card foreign exchange fee. 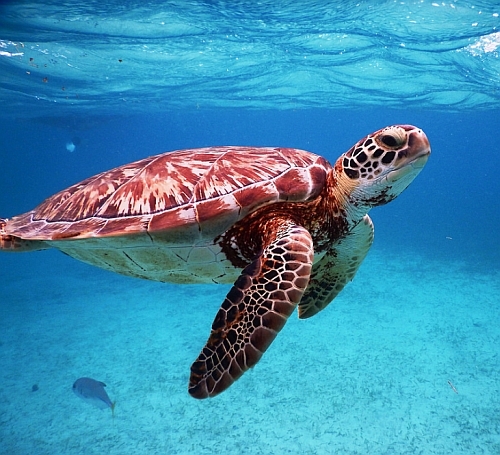 2 Responses to "Toronto to Belize - $264 CAD roundtrip including taxes | non-stop flights"